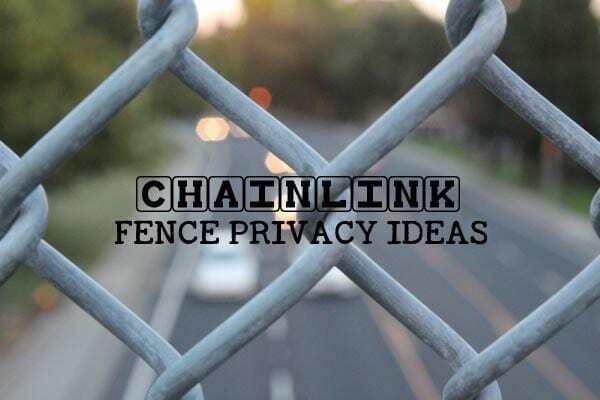 If you want to cover an ugly chainlink fence and gain privacy, these ideas will help. For more ideas, also see How to Place a Fence for Maximum Privacy and How to Make a Fence Taller. Privacy is so essential for a comfortable garden! One of my favourite things is having a quiet, private spot to read, think, and nap without feeling like anyone is watching. 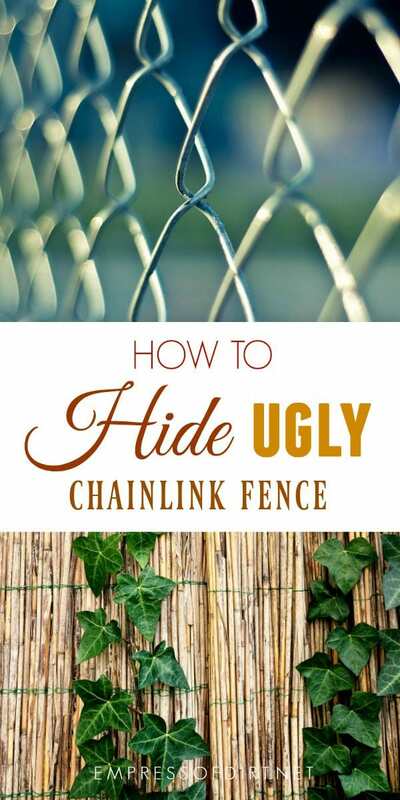 I’ll show you ideas for making basic chain link fences more private, ways to improve existing fences, ideas for adding privacy screens, and some unusual ideas for using living plants to block prying eyes. We used to live in a house with a very small yard surrounded by white chain link fence and it was so ugly and (obviously) not private at all. I spent far too much time thinking up ways to cover up that fence. One thing I was sure of: never choose white chain link! Black blends in so much better. White is just an eyesore. It may not be worth it to cover a short fence with a yard in full view, but, if you have a chance of gaining some real privacy by covering the fence, it may be worth it. Here’s an example where the chain link is replaced with wood and the original posts are used: chainlink fence converted to wood. This one has wood on top of the chain link: wood fence over chain link. There are lots of options for these screens. You can choose various colours and the amount of privacy they provide. This shows how to extend fence posts with special cuts: make fence posts taller. Another option is to sit the new post on top of the existing one and join them with tie plates: fence posts joined with tie plates. You can see tie plates here on Amazon. 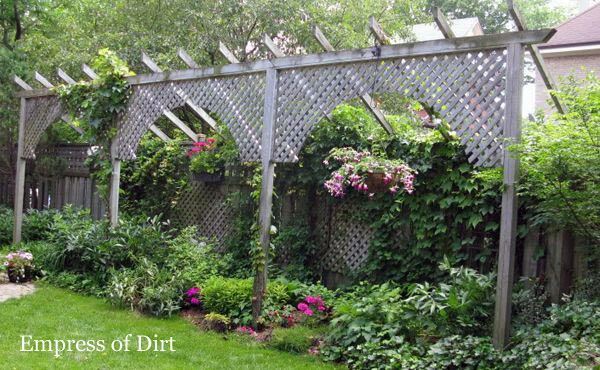 Sometimes you cannot modify a garden fence so a free-standing screen may be the solution. The closer you place a privacy screen to the area you want to make private, the more effective it will be. The screen in the image (above) is actually supported by the property fence and helps block the view from neighbouring apartments. This is a smart work-around if local bylaws limit how tall a conventional fence can be. Here’s some other ideas for creating privacy with plants. Keep in mind that some of these are only effective during growth seasons (spring to fall) but that might be enough. Often we don’t have the same privacy needs in the cold, winter months. This strawberry arbor could be adapted with more planters or horizontal slats to act as a privacy screen. Here’s a unique free-standing container holder for annual plants. 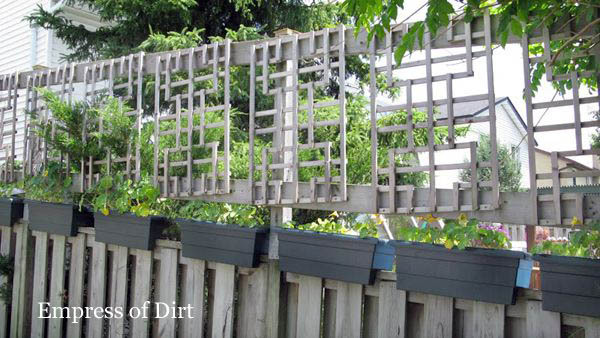 My Vertical Gardening board on Pinterest has a bunch of ideas that would act as living screens. Cedar hedges (like the one pictured above) provide excellent privacy but do take a long time to grow. A smart idea is to plant one and then set up other screens to use until the hedges are full size. I like for my yard to feel like my own private oasis. It’s hard to do when one can see through the fence into the neighboring yards. 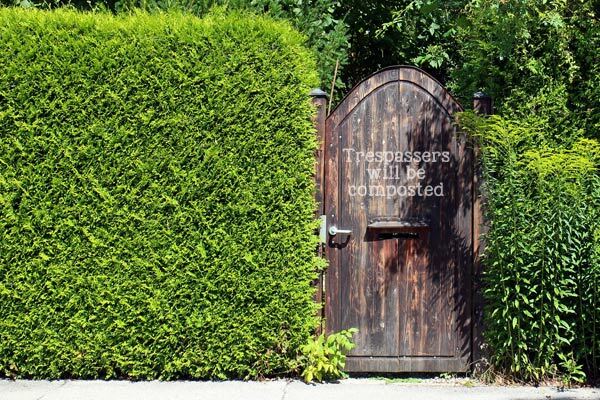 These are great tips to help make your yard more private. Thanks for sharing! Privacy isn’t an issue where I live, but the fences are so pretty, one would like to have one anyway. Thanks for the great idea for adding some privacy to my yard. My husband and I want to install a chain link fence so our dog can run around, but it would be nice to block the view of our neighbor’s yard as well. I will take your advice and choose the color black for my fence. Then maybe I can try adding some bamboo screen panels to add privacy.